With this option, all of the data in the target data group will be replaced. If required, enter the size of a block as an integer. 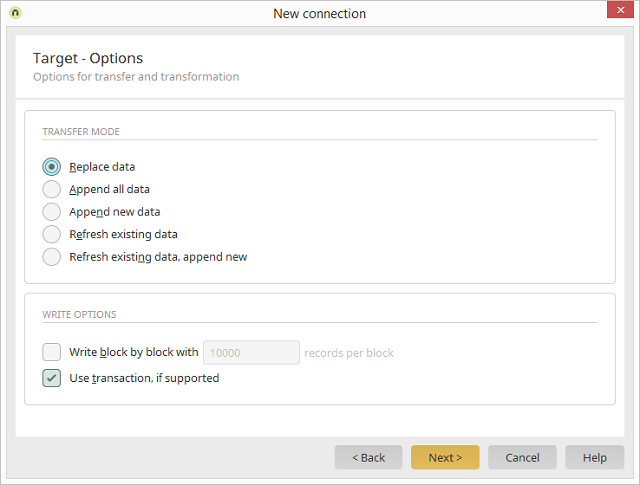 This setting can be activated if the data transfer source or target supports transactions. With this option, existing data in the target data group will not be overwritten. All of the data from the data source will be added. Existing data will be refreshed, if changes were made to the source data group since the last update. 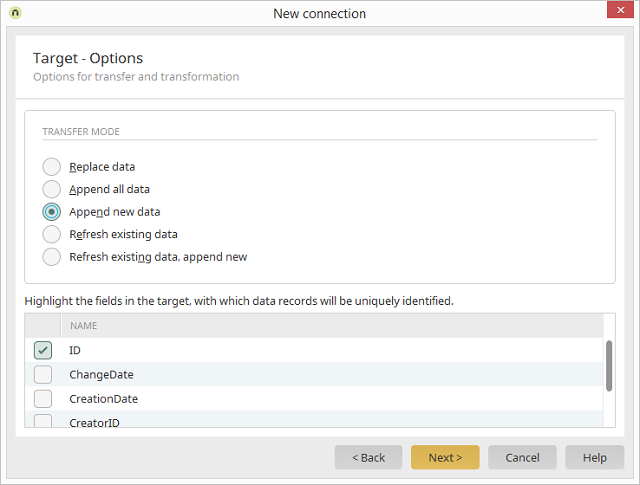 Corresponds to the Append new data option, with the difference being that existing records in the target data group will be updated, i.e. refreshed, if changes were made to the source data group since the last update.